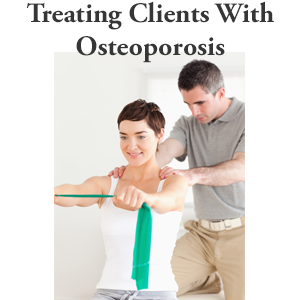 You are here: Home » Articles » Osteoporosis Exercises » Is the Elliptical a Weight Bearing Exercise? 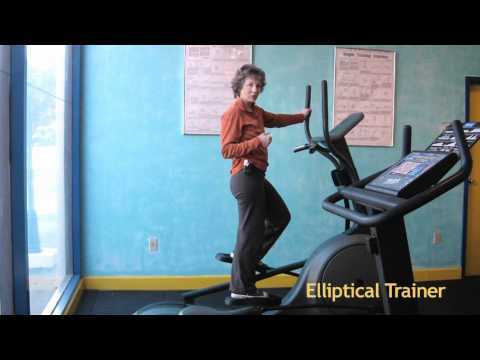 Is the elliptical a weight bearing exercise for osteoporosis? 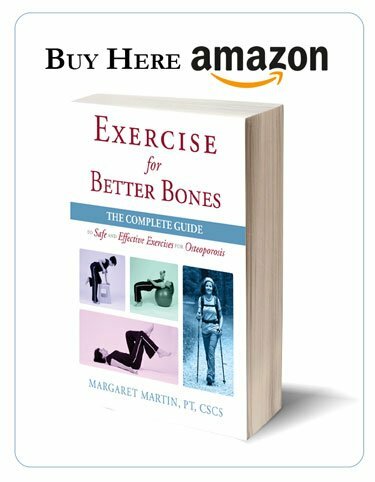 While the elliptical trainer provides adequate load to challenge your bones, there are alternative exercises that will deliver better bang for your buck (or exercise effort). In this blog, I will suggest alternative weight bearing exercises, discuss elliptical form while doing this exercise, and address a question related to best shoes for elliptical training. If you want to stay with the elliptical trainer, there are several guidelines that you should follow to make sure that your elliptical form is correct. Proper elliptical form requires that your posture, while using the elliptical, is in good alignment. 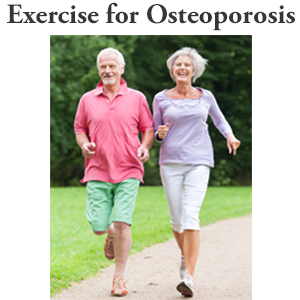 These simple rules will make this exercise for osteoporosis a key part of your exercise program. I demonstrate the guidelines in this video. Is the elliptical a weight bearing exercise? It is but there are other weight bearing activities that deliver more bang for the buck. I encourage you to incorporate the elliptical trainer machine into your weight bearing exercise program. However, pay attention to your alignment as you use the elliptical and you will enjoy many years of safe bone building. It does not have the impact or loading compared to the treadmill. The elliptical trainer has more weight bearing than the stationary bike (and when done well is better for your posture). It provides a great cardiovascular workout and should be considered part of your overall exercise program. Be careful with your alignment and posture when you use the elliptical trainer. Keep your breastbone elevated and pointing forward. Make sure you keep a space between your ribs and pelvis. Avoid looking down and causing a slouched posture. A slouched posture could compromise your breathing on the elliptical as well as compromise your spine. Is the Elliptical Right for You? Only you know if the elliptical trainer is right for you. If you like using the machine, then you should make it part of your exercise program but make sure you follow the guidelines I have listed above. Obviously, you need to have easy access to an elliptical trainer machine and the time to use it! 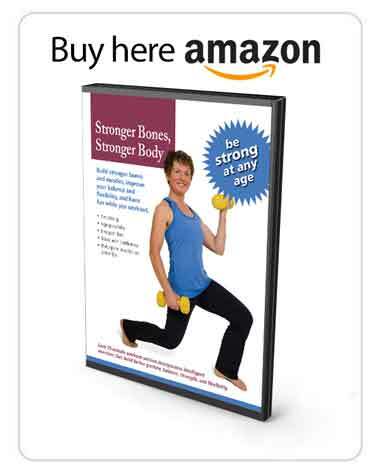 To learn more about a comprehensive exercise program for osteoporosis (that includes a wide range of strength, weight bearing, flexibility, balance and other exercises for osteoporosis), I encourage you to consider my MelioGuide Exercise for Better Bones program. A reader, Kris, asked me recently if it would be better to wear shoes with light soles in order to make the elliptical a weight bearing exercise. She also asked me for my recommendations for the best shoes for elliptical training. Running downhill vs uphill is more bone loading because of the effect of gravity. Jumping 8 inches off the ground is more loading than 4 inches. Brisk walking is more loading than walking at a casual pace. As a result, depending on your balance and other abilities, I would recommend running, brisk walking or jumping as alternatives. You could increase the impact by varying the exercises as described above. What are the best shoes for elliptical training? 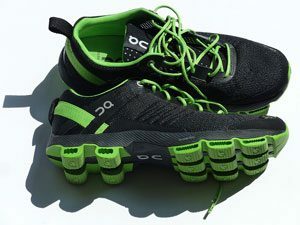 I recommend that you get regular running or cross-training shoes that are comfortable, provide adequate support and have a tread to increase your stability. As I mentioned above, the shoes do not need a thin sole since the weight bearing effects of the elliptical are marginal. Is the elliptical a weight bearing exercise? Hopefully you should know that you can use the elliptical but pay close attention to your form and posture. Nate – Great to hear that you use it each day. Just make sure you are maintaining good posture as you use it.